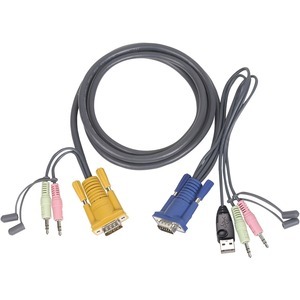 These all-in-one bonded KVM cables are designed to deliver superb video quality and error-free transmission for your high-resolution applications. The aluminum shield and an all-in-one bonded structure provide the maximum in quality, performance, and reliability. 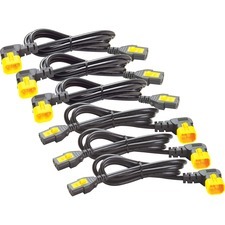 The custom designed DB15 connector combines keyboard, mouse, and video connections in one to save the space on the KVM and allows 16 ports on a mere 1U high space. The thin, flexible cable and the over-sized thumbscrews also make installation quick and easy.